Corporations and small businesses alike need to ensure that they are honing the art of project management. Corporate organisations and SME’s need to make sure that they are overcoming hierarchies. This has to be done to complete projects on a more efficient basis. After all, projects are essential for the growth and expansion of any business. The great thing about project management principles is that they can be taken to all kind of industries. The art of project management can be seemingly complex. In the new digital world, tech projects have become more commonplace. From the roll out to deployment, it’s imperative that projects are completed to the highest standard. After all, you cannot directly deploy a project with one small team. You need an expert and interconnected network of professionals with a broad range of skills in any project. This is to ensure that a project deployment is successful. Any project manager worth their salary knows that inside knowledge is a must. But, they must also possess incredible interpersonal skills. Managing budgets, resources and talking to stakeholders can be a complicated process. But, ensuring that people and money are distributed efficiently is at the crux of a good project manager. So, if you are ready to deploy a project to your business, have you considered how this will be done? There are three broad components of project management. Mastering these will ensure that your businesses plan is successfully implemented. More people are creative and empowered than ever before. Project based organisations need to ensure that they are putting people at the heart of the projects. This ensures that they are focussing on goals. 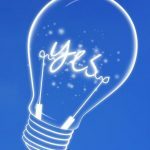 Outcome orientation is an excellent way to empower your employees. Focus and direction are a must. So, if you are working on a project, ensure that your team are aware of the goals and what they need to achieve them. Having a rigid road map will not serve you well when it comes to project roll outs. A good project manager will ensure that the project is flexible. It has to be adaptive to different circumstances. But, the focus of the project should be retained. 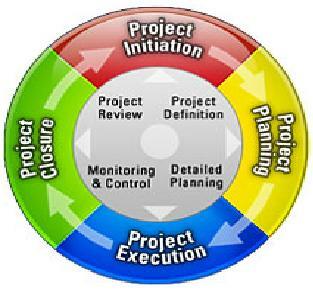 Online project management software is the best tool to use for achieving this. Project managers have to ensure that everyone is aware of their duties. But, they also need to manage schedules in the event of bumps in the road. Accommodating change, and not panicking, is a must. All projects have to be efficient. Managing time, money and quality is a must-have component of any project. Let’s face it, working under budget is imperative. But, deadlines also need to be met. These facets can be in conflict. But, they are not opposable forces. Mastering the art of a project deployment is imperative to achieving these three core concepts. People skills are a must. But, planning and scheduling is necessary. After all, roadmapping is one of the most favourable parts of the projects deployment. If you don’t do this, you cannot have a successful project. The art of project management is simple, when you know how.